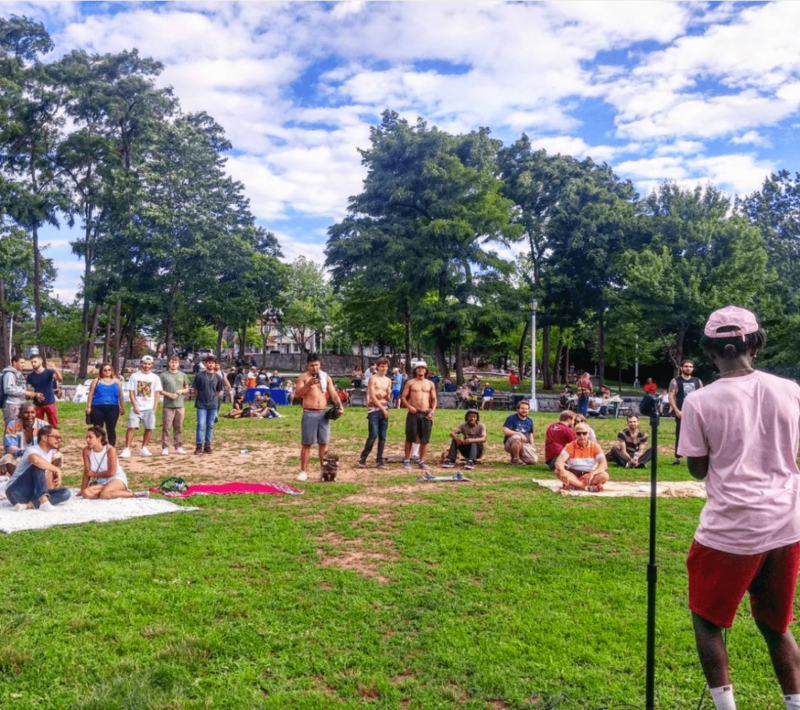 A summer festival & cultural happening on Staten Island with music, art, dance, pool, skate, yoga, and more! 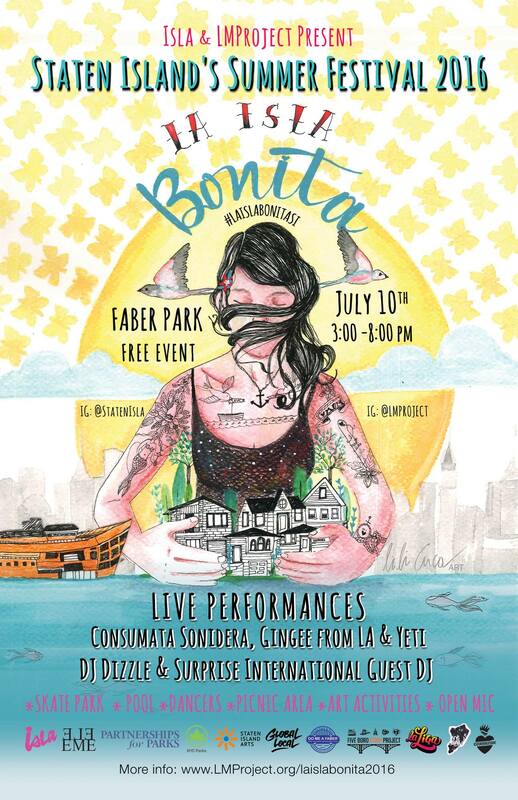 With the goal of building a yearly cultural happening which celebrates Staten Island’s vibrance, La Isla Bonita highlights Faber Park’s beautiful waterfront park while promoting local and global arts & culture for free to the community. For more information, visit LMProject. For those commuting from other boroughs, take the Staten Island Ferry and at the terminal catch the S40 bus and ask the driver to let you know when Faber Park arrives. It’s about a 20 – 25 minute ride. You can also bike along Richmond Terrace till you get to the waterfront park! View “La Isla Bonita” photos HERE.